Can we make a better beta cell? The International Diabetes Federation has recently announced that 415 million people worldwide currently have diabetes, and this incidence is predicted to increase to 642 million by 2040 . It has long been recognised that beta cell destruction underpins type 1 diabetes, but it has become apparent only relatively recently that individuals with long-term type 1 diabetes still show residual beta cell turnover . Reductions in beta cell mass are also involved in the aetiology of type 2 diabetes , so devising strategies for preserving a functional mass of beta cells to maintain normoglycaemia in people with both type 1 and type 2 diabetes is a fast moving area of research. The availability of unlimited numbers of beta cells derived from human embryonic stem cells or induced pluripotent stem cells is becoming a realistic therapeutic strategy, with recent studies providing robust protocols for the generation of billions of human beta-like cells without genetic modification [4, 5]. However, beta cell replenishment in situ is also a possibility and the EASD/JDRF symposium on ‘Can we make a better beta cell?’ at the 51st EASD annual meeting in Stockholm in September 2015 aimed to disseminate approaches distinct from the use of exogenously generated beta cell substitutes. The presentations addressed strategies for promoting beta cell mass expansion through transdifferentiation, regeneration and repair in situ, and mechanisms regulating the differentiated function and survival of endogenous beta cells in the normal pancreas, with the aim of identifying novel targets for therapeutic intervention. Three thought-provoking lectures were delivered during the symposium, each of which generated wide-reaching questions and discussion. Harry Heimberg  considered the sources of beta cells available within the pancreas, with emphasis on the benefits of reprogramming the abundant populations of exocrine cells into fully functional beta cells. He summarised data from his group using the partial duct ligation (PDL) and growth factor therapy models to define the conditions necessary for exocrine to beta cell reprogramming. Key observations from this work direct further research towards identifying the roles of tissue-resident macrophages in protecting beta cells and promoting their regeneration after injury, examining the importance of oestrogen receptor α signalling in specifically driving beta cell proliferation after PDL, and uncovering the epigenetic changes induced by growth factors that stimulate reprogramming of acinar cells to beta cell progenitors. Heiko Lickert  continued on the theme by providing an overview of his group’s work on understanding beta cell heterogeneity to improve beta cell capacity in situ. This research has identified the Wnt/planar cell polarity effector Flattop as a biomarker that distinguishes mature from proliferative beta cells. In particular, in vivo lineage-tracing studies have indicated that beta cells lacking Flattop expression have a high proliferative capacity and contribute to beta cell expansion upon metabolic demand. When the beta cells mature they express Flattop, slow down their replication rate and show appropriate function, such as glucose responsiveness and regulated insulin secretion. 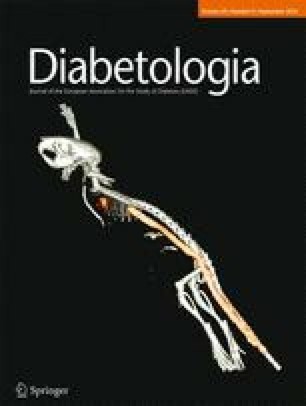 These novel observations suggest that Flattop may be used as a biomarker to identify mature beta cell subpopulations in situ, and, in the longer term, identifying pathways and molecules that regulate beta cell proliferation and maturation could be utilised for regenerative therapy in diabetes. Kathrin Maedler  made a strong case proposing that the way forward in diabetes therapy is to inhibit pro-apoptotic signalling pathways that are activated during beta cell failure as a mechanism of limiting islet degeneration and damage. Her presentation focused on the role played by the serine/threonine kinase known as mammalian sterile 20-like kinase 1 (MST1) in driving beta cell death and dysfunction. Research from her group has indicated that MST1 is activated by a broad range of diabetogenic stimuli, leading to the induction of beta cell apoptosis, and it also impairs beta cell function by promoting degradation of the key transcription factor pancreatic and duodenal homeobox 1 (PDX-1). The therapeutic potential of blocking MST1 signalling in islets is obvious, and studies are ongoing to define the effectiveness of potent pharmacological MST1 inhibitors in models of diabetes. In the longer term there is promise of clinical translation to maintain beta cell mass in both type 1 and type 2 diabetes. All three presentations in this symposium have opened up the possibility of manipulating intracellular signalling cascades within the pancreas to target reprogramming, neogenesis and protection as mechanisms through which to maintain and/or enhance endogenous beta cell mass. The nature of this type of research means that much of the data has been generated using animal models of pancreas injury, lineage tracing and gene deletion, and, although there are some early promising indications of translation to the human situation, it is too soon to gauge the ultimate clinical potential of these approaches. Other factors, including the possible side effects associated with targeting ubiquitous proteins such as MST1, the potential for tumorigenesis with driving beta cell proliferation through oestrogen receptor α activation and the problem of persistent autoimmunity in type 1 diabetes also need to be taken into consideration. Nonetheless, the approaches discussed here, of exocrine to beta cell reprogramming, beta cell maturation and beta cell survival provide novel solutions for making better beta cells, and also for making existing beta cells better.